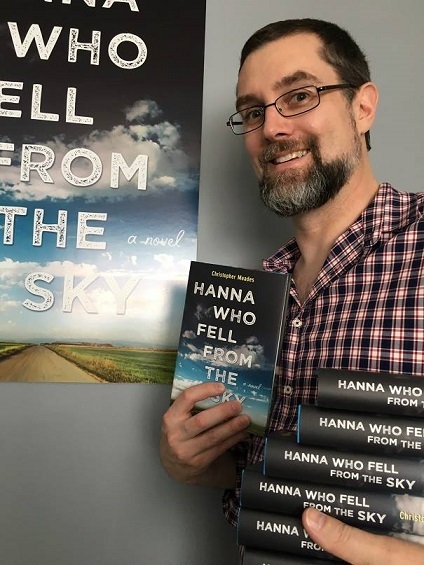 Christopher Meades is the author of the new novel Hanna Who Fell from the Sky, which focuses on a young woman growing up in a strict, isolated community. 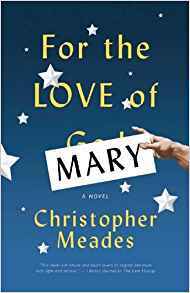 His other books include For the Love of Mary and The Last Hiccup, and he lives in Vancouver. Q: You note that the process of writing this book took more than a decade. How different is the finished product from the original? A: I wrote the first version of Hanna Who Fell from the Sky over three feverish, sleepless days back in 2005. As it stood, the original, novella-sized manuscript was far too rough for publication, and I set it aside to focus on getting my short stories published in literary journals. When I finally came back to it 10 years later, I found the story was all there – Hanna and Daniel, Hanna’s battle to escape Clearhaven – but the prose was not. I knew I could do a better job of writing it and, as difficult as it was, I started again from scratch. I think my 10 years of experience – growing older, (hopefully) more mature, and becoming a father twice – really changed my outlook on Hanna as a character. In the first draft, she was determined. Ten years later, she’s not only determined, but brave and empathic. It was important to me for Hanna to care about others more than she cares about herself. Q: How did you come up with the idea for the community of Clearhaven, and for Hanna, your main character? A:Years ago I returned home from a trip to Europe and handed my (then-girlfriend, now) wife a hand-painted mask I’d purchased in Florence. Now, my wife has long grown accustomed to my stories and can no longer be so easily fooled. 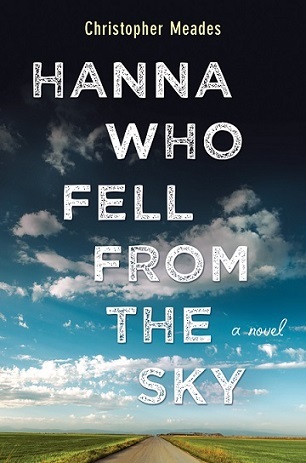 But, for some reason the idea of Hanna falling from the sky never left me. 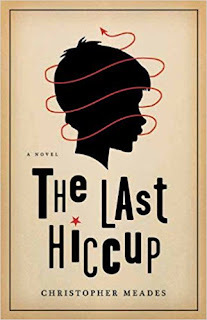 I felt so strongly about it that when it came time to compete in the 3 Day Novel contest that year, I tossed my original idea aside and wrote the first draft of Hanna. Q: Did you always know how the story would end, or did you make many changes along the way? A: I always know how my stories are going to end. If you (as a writer) don’t know where your story’s going, the reader will sense it. They’ll notice your story meandering, no matter how much editing you do. For Hanna, I don’t want to give away any spoilers, but I wanted the ending of the book to be poignant, to stay true to who she is as a character, and show how her story – while initially one of survival – transforms into one of potential. A: My favorite writer is Patrick Süskind. I loved both Perfume and The Pigeon and wish he would write another novel, as it’s been decades since his last one. I’ve also long been a fan of Vladimir Nabokov and Janet Frame. For contemporary writers, I read all of Erik Larson’s work, which I believe is the most compelling nonfiction being written today. For fiction, the novels The Sisters Brothers by Patrick Dewitt and All The Light We Cannot See by Anthony Doerr are both pure genius. Along with Cormac McCarthy’s The Road, they’re my favorite books of the past 15 years. For something more obscure, but completely hilarious, Fruit by Brian Francis is the funniest book I’ve ever read. A: We just had the Vancouver launch party for Hanna Who Fell from the Sky on Sept. 28. So a lot of my energy went into that, as well as promoting the book. But now I’m writing again and while I don’t want to give too much away, I’ve plotted and started writing my next novel, which features two women in very different stages of life than Hanna. I want to tackle even deeper subjects like how men and women think about themselves as they age, whether a sense of liberation comes with middle age, and how we reconcile the mistakes of the past, whether we’ll ever truly be free of our former selves. But I want to do it in a way that isn’t too heavy, that shines a light on important subjects but still engages the reader. A: In 2012 I suffered a brain injury playing hockey. It was quite severe. An hour after I was struck in the head, I couldn’t speak. I could barely walk. I thought my concussion symptoms would soon go away, but months later, I was still stuttering and still having difficulty with noise and light and dealing with everyday life (all of this with a two-year-old and a four-year-old running around the house). About a year after my injury, my neuropsychologist encouraged me to return to writing. I thought she was crazy – I could barely focus enough to watch an hour of television, let alone write a book – but very slowly, I began rewriting Hanna Who Fell from the Sky. Some days I would only get a single sentence done, some days a paragraph and other days a full page, but I kept going and a year later, I had the finished book in my hands. It was a very difficult time in my life and I don’t know if I ever would have recovered if I hadn’t had this project to work on. But I did recover (I’m about 90 percent better) and while at first I was wary of sharing my story, now that my symptoms are gone, I feel it’s important to share with other people, and especially other writers, to let them know that – like Hanna in the book – no matter what obstacles are in front of you, no matter how hard life can be, if you focus and work hard, if you try your very best, you can accomplish things you never dreamed possible.